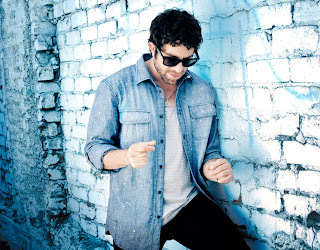 One of the many who have launched their career off the back of American Idol, Elliott Yamin was in Season 5 of the hit show and was eliminated from the Top 3. Proud of his Jewish heritage Elliott has had some good success from his solo career, one of his last singles Wait For You reaching top 5 of the US pop charts. His new single though is much more radio friendly and a great pop song to boot. With a smooth voice matched with beautiful instrumentals, 3 Words (no not the Cheryl Cole song) will hopefully be a big hit for Elliott..!